Security Business Bank is led by veteran banker Paul Rodeno, who serves as president and CEO. Rodeno has more than 25 years of experience in banking including a variety of senior management positions. Rodeno first had the idea of creating a business bank specifically for San Diego's small to mid-sized businesses in 2001. He felt a void had been created by numerous big bank mergers and saw an opportunity to provide local decision-making and personalized service to entrepreneurial companies. It was then that Rodeno decided to create a bank whose focus would be serving the needs of San Diego business owners. Recognized by the Small Business Administration’s San Diego District Office as the 2009 and 2010 top lending partner among small banks, Security Business Bank is dedicated to helping local businesses borrow money, upgrade equipment, invest in technology and stimulate the economy. Rodeno has had extensive experience in leading community-based organizations. 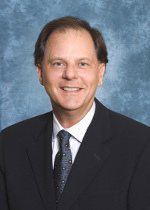 He has served on the board of directors of California Southern Small Business Development Corporation, a community-based nonprofit State of California guaranteed lending program; treasurer for the Downtown San Diego YMCA and a member of the board of directors of the Downtown San Diego Partnership; the California Bankers Association; the Community Bankers of California; and the University of San Diego School of Business. He also served on the board of the San Diego chapter of Legatus, a Catholic leadership group. He received his Bachelor of Science in business from San Diego State University and completed graduate level studies with the Pacific Coast Banking School at the University of Washington. Since its founding in 2002, Security Business Bank has built a reputation for providing its small and mid-sized business customers with financial innovation, access to management and superior client service. The bank has redefined the business banking experience through its “Executive at Every Level” program, which fosters local decision-making, employee empowerment and community specialization. Security Business Bank operates four San Diego offices including Carlsbad, Carmel Valley, Downtown San Diego and Escondido.